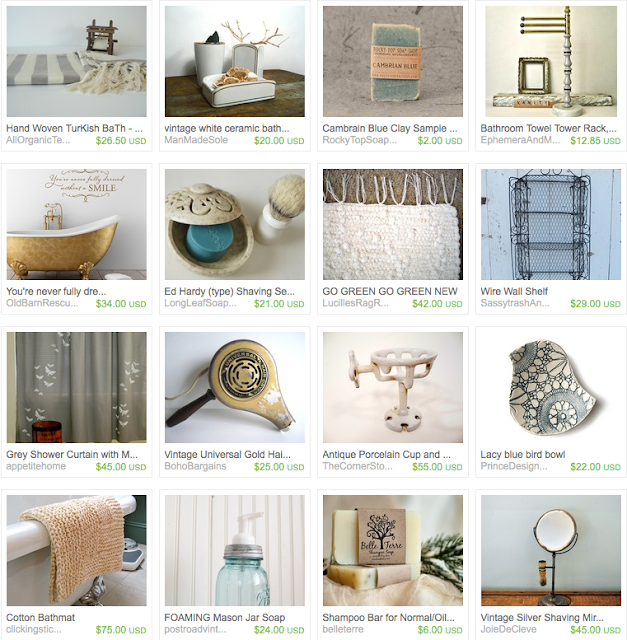 Lately I've been craving a tranquil bathroom, with a mix of vintage and natural/organic elements. I could spend hours relaxing in there if these beauties adorned it! If you see something you like, click here to eyeball it up close! All of those Etsy finds are lovely. I'd add one more must-have to the list, it were me. I'd add someone who would come in and clean my dream bathroom regularly, too!